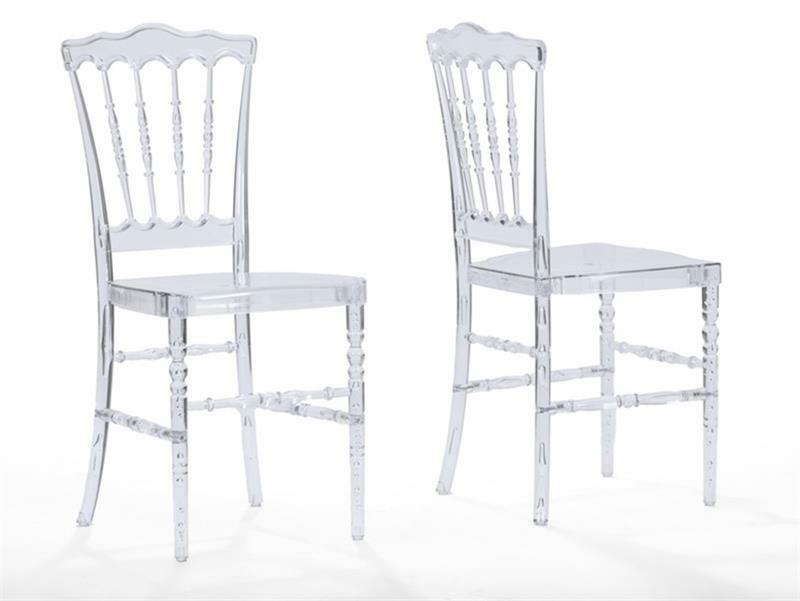 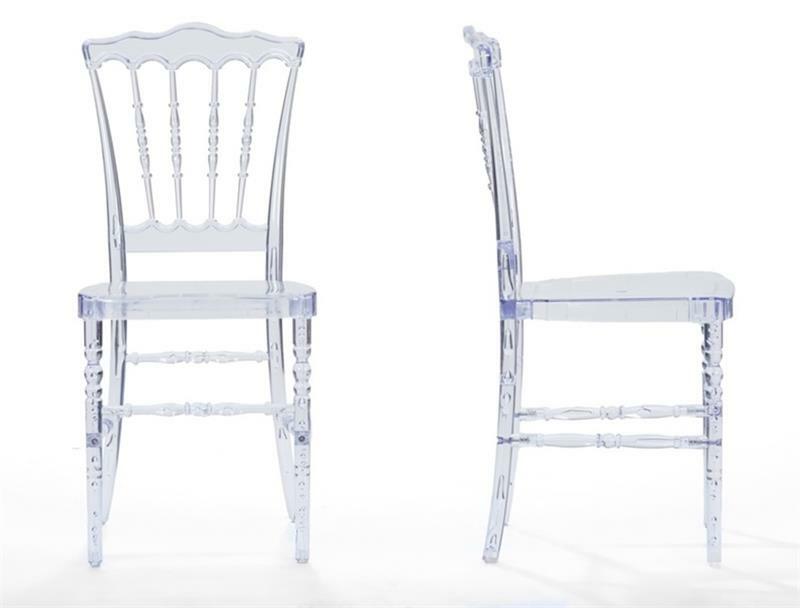 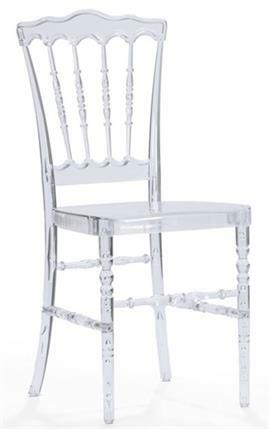 Like an apparition calling from another time, the Chiavari Clear Dining Chair commands attention with its atypical combination of traditional styling and transparent plastic construction. 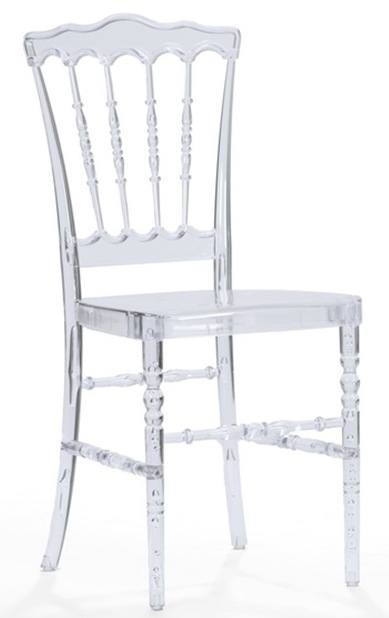 Think of it as ultra-modern meets the classic era all at a budget price. 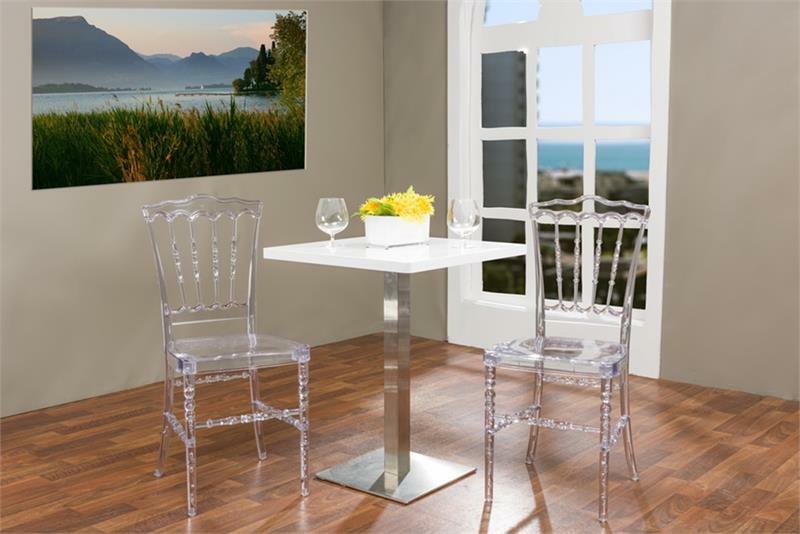 Easily adapts to residential or commercial settings. 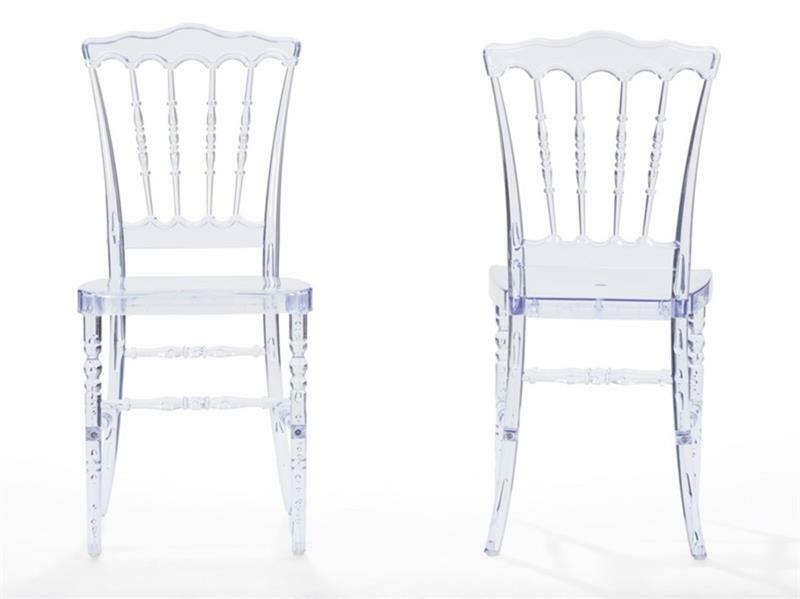 Constructed from a single piece of injection-molded polycarbonate, the Chiavari Clear Dining Chair is a good choice for a wide variety of settings, both indoors and outdoors. 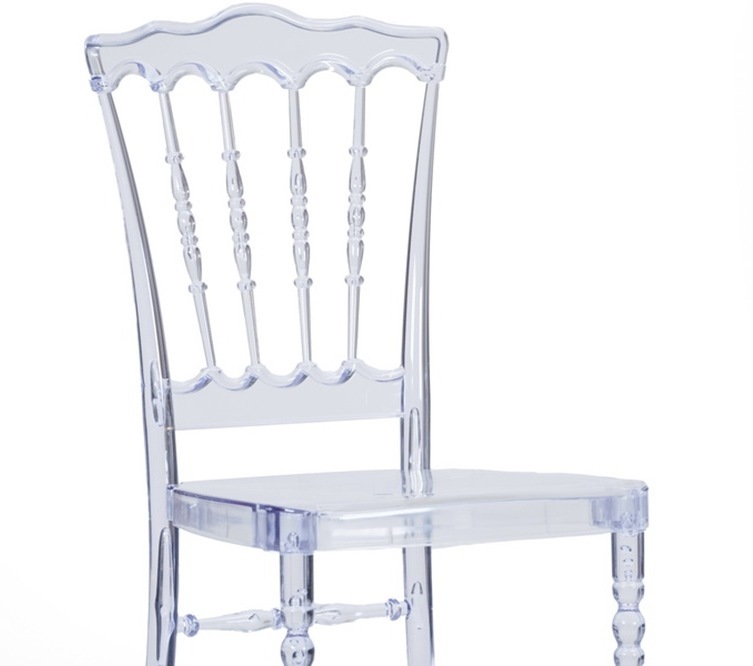 Stackable and easily wipes clean.